Starting with the Winter Marathon Rally in January and ending with the East African Safari Classic Rally, Sports Car Digest covered a diverse range of historic car races and rallies in 2017. Our award-winning team of photographers took tens of thousands of pictures, spending hours post-event analyzing and choosing the best ones in an effort to wow our readers. To celebrate the effect that these photographs have on us as well as the dozens of talented photographers who capture them, we have once again narrowed it down to the 50 best vintage racing pictures of the year. Identifying the top 50 certainly wasn’t a walk in the park, as the shots worthy of high praise number not in the dozens but in the many hundreds. The list is done, however, and similar to our Best of 2009, Best of 2010, Best of 2011, Best of 2012, Best of 2013, Best of 2014, Best of 2015 and Best of 2016 contests, we are asking for your assistance picking the best vintage car racing photo from 2017. Simply vote by leaving a comment below indicating which photo is your favorite image. If you feel that we’ve overlooked a particular picture, please nominate a candidate by linking to the picture in your comment. We will announce the winner in the February 1st edition of our newsletter and in the comment section. We will randomly choose THREE winners from the comments to receive a SCD T-Shirt and sticker combo, so be sure to include your email address in the comment form so we can reach you. In order to win, you must also be a subscriber to Sports Car Digest, so sign up for our free newsletter if you haven’t already. We hope you enjoy the top 50 best pictures of 2017, sorted by the date taken. They are all great, but I would have to vote for the photo Blue Passion. Sauber-Mercedes C11 at the Spa Classic is the most spectacular shading in the photography, The Austin Healey in the puddle the best action. On my first read i’ll vote for “Taking snaps at the East African Safari Classic Rally (photo: McKlein)” maybe not the best racing image but i’ll bet it’s the most memorable image from this years group. Well done McKlein. Surely the Red 3l8tr CSL is the most evocative picture ? Certainly my son in law’s photo! I vote for Blue Passion photo! Frazer Nash at the Flying Scotsman, very difficult as there are so many I like! Love the picture taken by Blue Passion! “Taking snaps at the African Safari rally”, definitely ! Frazer Nash at the Flying Scotsman – that is my choice! I agree, has everything in the photo I expect. Passion for that corner.Frazer Nash at the Flying Scotsman. The Frazer Nash at the Flying Scotsman….absolutely! They are all such tremendous images but the Healey by Blue Passion does it for me! It has to be the Austin Healy water splash by Blue Passion. Great photo. McLaren M23 at the Spa Six Hours by Matt White because of the sense of speed and the haunting colors. But I agree they are all great. And keep up the great work SCD. I look forward to my email each week. All great, but “Blue Passion” clearly sticks out! Love the Blue Passion Healey shot, so atmospheric, and for me the ultimate classic car. the Gullwing at Mille Miglia..I have a vested interest, its me driving!! Marlboro McLaren at Spa. For the atmosphere. My vote would have to go for this one, also. Well-Done to all ! 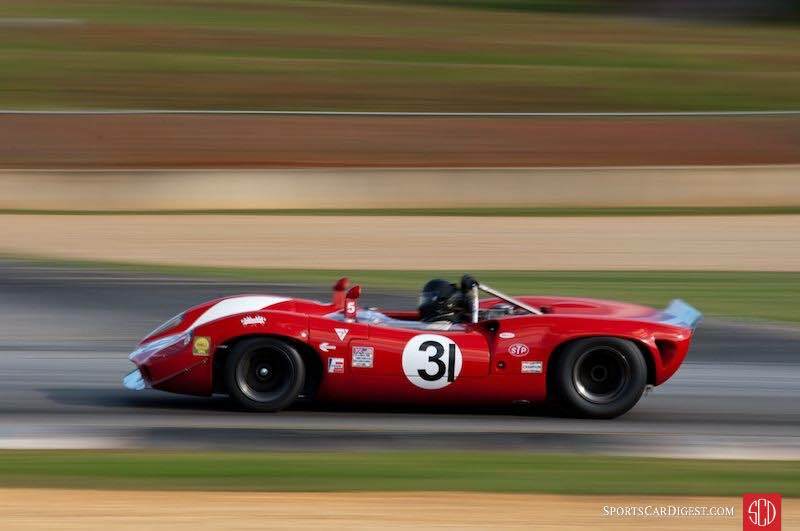 You can’t beat Spa, so, definitly, McLaren M23 at the Spa Six Hours photo by Matt White. Great work! Blue Passion’s Austin-Healy. Nature’s drama vs. human efforts. Puddle and the stone wall get an assist. Definitively, the Mercedes-Benz 300SL on the Mille Miglia. In December 2016 a friend and I bought a Mille-eligible car and entered the 2017 Mille, made the waiting list but did not make the final cut. Even without this background, the 300SL photo defines that event. I liked the Blue Passion photo of the Healey rally car blasting through the water. Frazer Nash, Flying Scotsman,( Gerard Brown). This shot captured the total commitment of driving at speed, good job Mr. Brown. As a former art dealer and picture framer, I am choosing strictly on the artistry of the photo and not my passion for any particular car or event. My gut says the Ferrari 250 GT photo that you used for the “cover photo” on this piece. I love the golden colors and the way the car is placed in the photo. My next two favorites are the CanAm McLaren at Goodwood and the the M23 Formula 1 car. In some ways my last photo is my favorite because of the artistry of the shot. As usual, they are all spectacular shots that any photographer would by proud of. I also like the Healey running thru the water – which would have been right about the time my old Healey stalled. Congrats all around – to the car and the photographer! Aston Martin Blue Passion photo is spectacular – wonderful picture! As usual, all the photos are great! 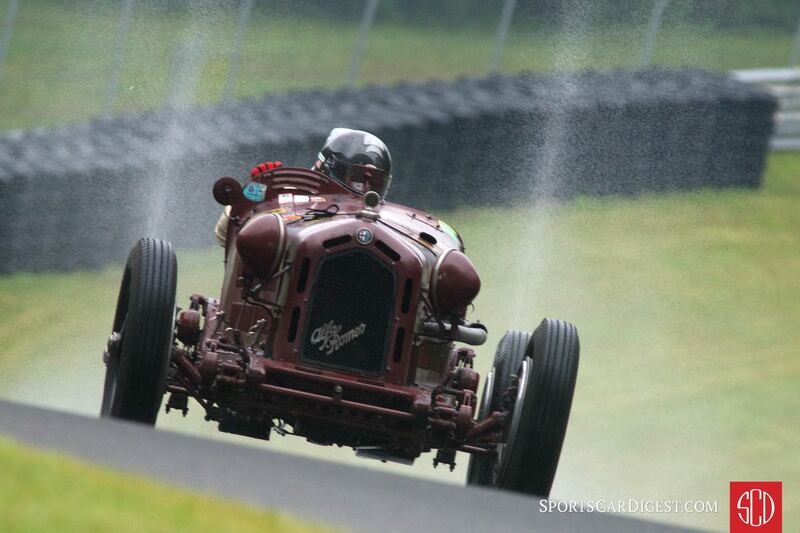 My favorite is the Alfa Romeo Tipo C 8C-35 at Lime Rock. The vintage cars are my favorites, and I always love to see Peter race his outstanding cars. 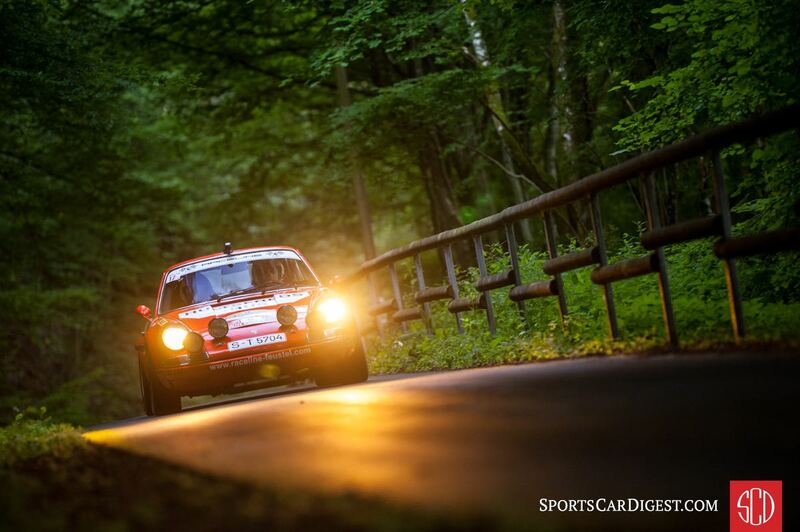 Going with the 512 and 935 at GP deL’Age D’Or by Fotorisima. Orange BMW CSL High speed blur at Spa. For me it’s the Frazer Nash at the Flying Scotsman. Opposite lock and mud and water spraying everywhere. Everything a car rally should be about! Frazer Nash at the Flying Scotsman. Opposite lock, mud and water spraying everwhere. Says it all! Austin Healey water splash (photo: Blue Passion) has everything but Ferrari 250 GT SWB Berlinetta on the Tour Auto (photo: Julien Mahiels) is a close second. My vote is the Cobra 289 cutting the chicane apex within inches of the wall – photo by Julien Mahiels. Amazing picture. My 2nd place vote is the African picture of the Porsche being captured by the local. Frazer Nash by Gerard Brown. Great action. My bias will show, but . . . Luigi CSL crossing the bricks at Indy! So many great photos! I like the AH / Blue Passion, but I think just in terms of a striking photo I would have to vote for the C11 at the Spa Classic by Matt White. Ferrari 330P3 at Goodwood, the only thing missing from the photo is the sound ! My very favorite is the Lancia-Ferrari D50. Such great history in that car and a beast to drive. 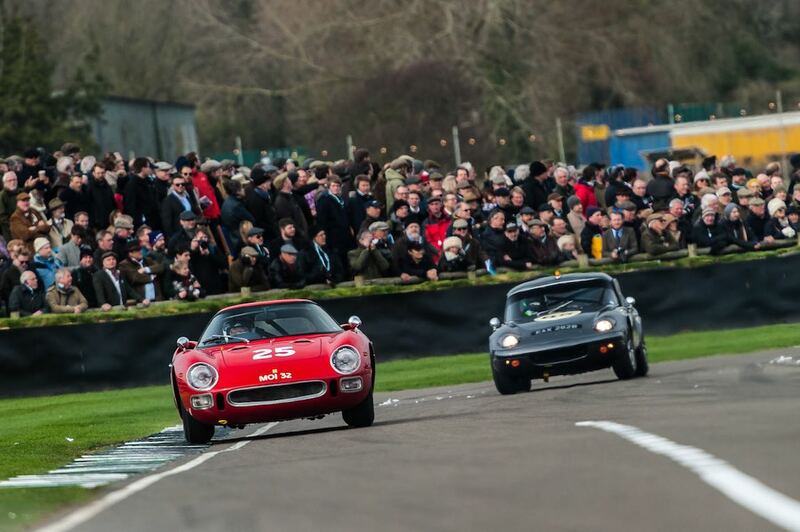 The colors framing the Ferrari 250 SWB and the lighting of the participants make it my choice. Wow…very hard to pick just one. My choice is the Austin Healey 3000 photo by Blue Passion. Congrats to all the talented photographers who delight us car nuts with these stunning pictures. The Healey image of Blue Passion Photo, Passion, Grace and serious pace! Blue Passion Austin Healey photo. Lots of great ones, but that one says the most to me. All wonderful, but for composition, color, and action the Austin Healy by Blue Passion is the best. Beautiful image. The young man wearing his traditional clothes taking a picture of the old 911 with his mobile of last generation, in that landscape. Very beautiful picture McKlein. Austin Healey by Blue Passion for me. Stunning! Quality, timing & all around brilliance I have to say goes to Blue Passion. Blue Passion’s Big Healey shot is my favourite out an outstanding group of photos. Difficult choice though. Many great shots, but Austin Healey at Three Legs of Mann is really captures vintage racing action. Frazer-Nash at the Flying Scotsmen. But also the Healey Splash. The Austin Healy getting wet – favorite. All are amazing. Alfa Romeo Tipo C 8C-35 at the Lime Rock Historics (photo: Michael DiPleco). Not a big fan of the Tour photos. 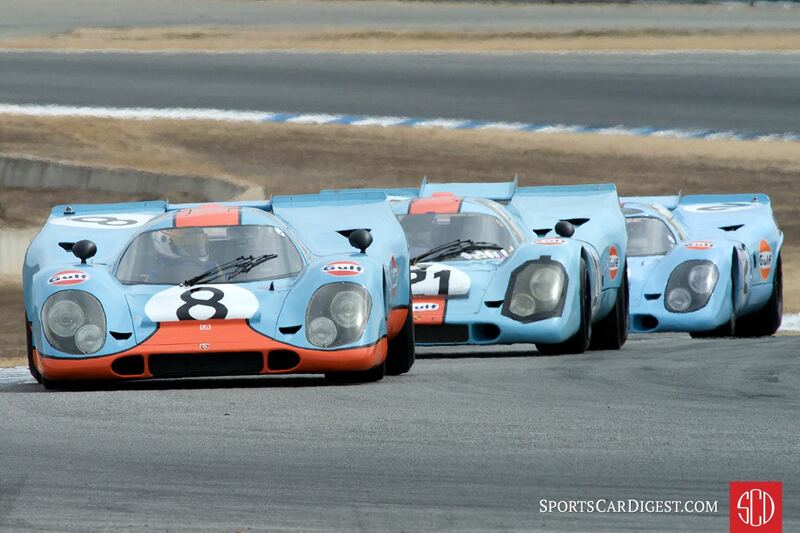 Great cars but your contest is for Racing Photos. I like the Mini Clubman on the ROTT because the man in the navigator’s seat is a friend! Ferrari 250 GT SWB Berlinetta on the Tour Auto (photo: Julien Mahiels) Colour, people and car in harmony Well done Julien. For me it’s the McLaren CanAm at the Goodwood Festival of Speed, but what a collection of great photos! 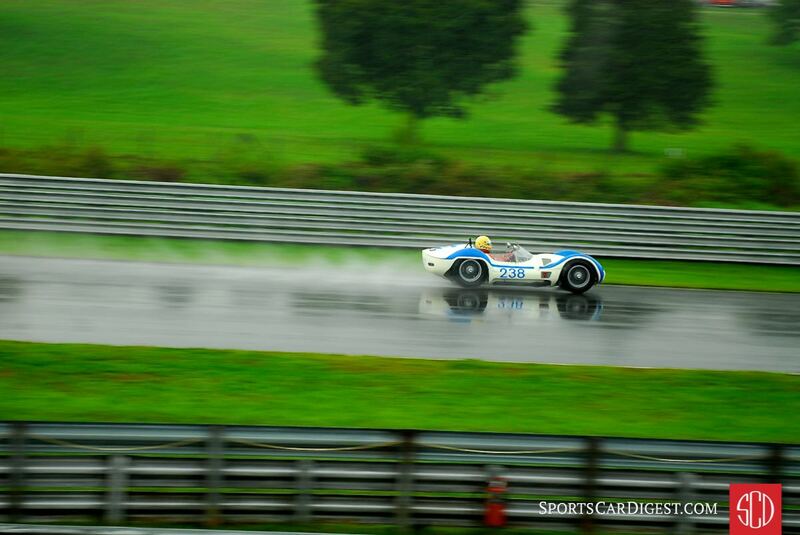 My vote is for Michael DiPleco’s Alfa shot at Lime Rock. They’re all lovely, but the golden glow and composition of “Ferrari 250 GT SWB Berlinetta on the Tour Auto” by Julien Mahiels most fully captures the spirit and timelessness of classic sports car driving. The Frazier-Nash at the Flying Scotsman is my favorite. All are great! Shadows at Long Beach get my vote. I was there ! I was afraid one of them would hit the wall but noooo not a one, great driving. The Austin nearly 3000 on the isle of man for me. Blue Passion, absolutely Awesome Scenery! So many great photos. The Frazer-Nash at the Flying Scotsman. Healey, three legs of Mann, Blue Passion! Incredible photo which contains so much atmosphere. Taking snaps-East African rally, the photo says so much about today and technology. I like to think racing has another true enthusiast! My choice is “Austin-Healey 3000 Mk III makes a splash on the Three Legs of Mann Rally”. It captures the passion, sacrifice, and grandeur of motorsports. My favorite photo is definitely the nighttime photo of the Jaguar E-Type 3.8 at the Spa Classic 2017 page 9 top photo. Speed and Beauty! The Flying Scotsman on your second page. It to me reflects the wonderful action and drama of sports cars. #5, colors ,detail are great. The Cobra 289 hitting the apex is a work of art by the driver, but for the photograph, “Frazer Nash at the Flying Scotsman” gets my vote. 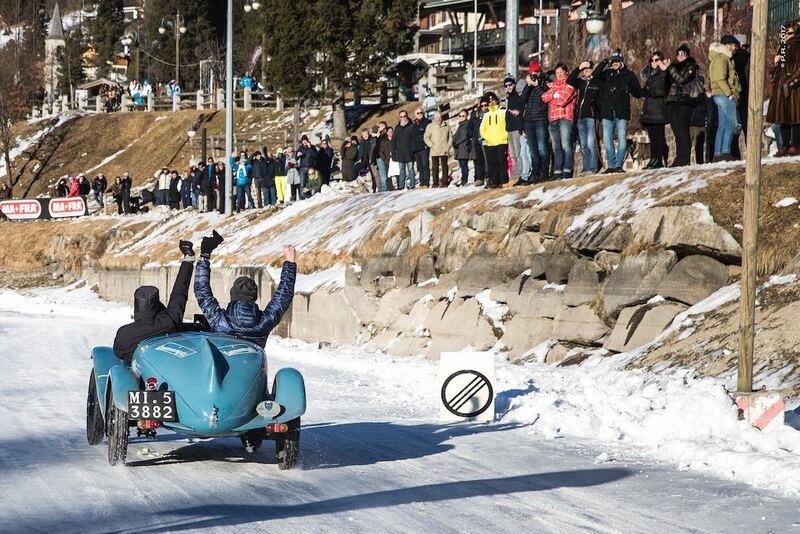 To my mind the photo “Celebrating the finish of the Winter Marathon” really represents what vintage racing is all about. Enduring the hardships that many of these pld cars put their drivers through for the pure joy of the experience. A great selection ! My vote: Blue Passion photo of the AH 3000 on Legs of Man. It sums up the spirit of using these old cars as they were meant to be used. I really like the Blue Passion Photo..
Ferrari Short Wheelbase, French Countryside, Warm light. What’s not to like. 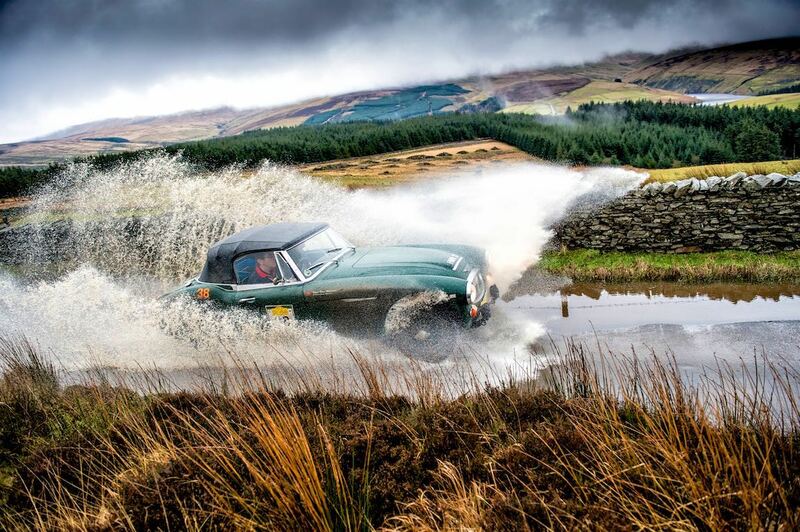 Austin-Healey 3000 Mk III makes a splash on the Three Legs of Mann Rally (photo: Blue Passion) This is my choice!!! The best!!! 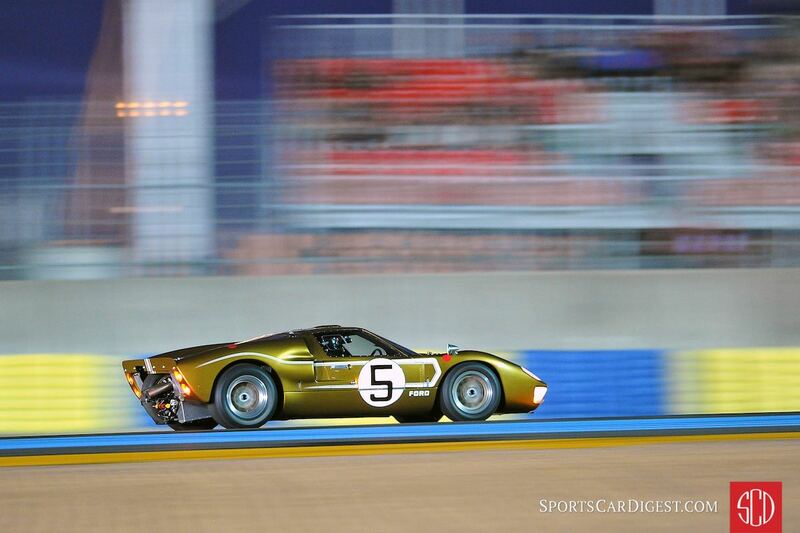 My vote is for the Gurney/Grant FIA Cobra! The Shelby Daytonas on page 4 gets my vote as the shot demonstrates both competition and speed, 2 ingredients necessary to make a good photo great. Pair of Allards at the Pittsburgh Vintage Grand Prix (photo: Michael DiPleco). This is a great venue to watch vintage racing. Through a park with hay bales and stone walls. Close racing. And for a small donation you can get a ride in one of the race cars through the entire track. Up close and personal like it once was. Blue passion photo. Great image, colour, sky background, driver face, nice Healey. I had a tough time narrowing this down to one and maybe there should be more categories than just one. Therefore, in order of preference I am submitting four that I think rate selecting for different reasons. Blue Passion for me. Love a large copy of it. Blue Passion and that wonderful shot of the Austin’s Healey. What a brilliant image- really shows the beauty of the car, and the speed! Some outstanding pictures but the Healey 3000 at the Three Legs Man Rallye is my choice (I love the IoM). Being a Ferrari Guy, I have to go with the 365 GTB/4 Daytona. Lotus S7 and Datsun 240Z battle for position at the Portland Vintage Racing Festival (photo: Dennis Gray) — love it! Austin-Healey 3000 Mk III has my vote! The Blue Passion watersplash image on the HERO Three Legs of Mann, but, some of the 2017 HERO Le Jog are worth a mention – classic cars in a winter landscape – some fantastic shots. Shadows lead the start of the Can Am event at Long Beach (photo: Victor Varela) My favorite and personally know the members of this team who also very generously help families and especially kids through their Spirit Of Alexandria Foundation get to experience nature and learn about it in many ways. Wonderful team and drivers of course. Congratulations to brothers Craig and Kurt Bennett on also finishing this race in this order first and second at the checkered and giving the fans a great experience with these thunderous cars. All beautiful for sure. But 101 & 102 capturered the hearts and imaginations of many Can Am fans. The Shadows! Blue Passion. The photo of the Hedley is full of action. Excellent. This really is not fair as I love all photo’s in Sports Car Digest, but after looking through the pics several times, I kept coming back to the one that I reckon says it all…. “Frazer Nash at the Flying Scotsman” has the lot…Dedication, determination and obstacles etc! Definitely Blue Passion’s big splash. Austin Healey MKIII, superb picture. The Austin Healey , Blue Passion. What a perfect action shot! “Austin Healey, photo by Blue Passion”. Number one for me is the Fraser Nash Flying Scotsman by Gerard Brown. Wow, so many great photos but Blue Passion takes the crown! Austin-Healey splashing by Blue Passion is definetly the best one, it capture the essence of speed! The photo by Blue Passion is really nice !!! Austin Healey,photo by Blue Passion! Austin-Healey by blue passion is the best one! Austin-Healey 3000 Mk III of Blue Passion is simply perfect. Austin-Healey 3000 Mk III by Blue Passion … love it! My fave is the Shadow DN4s!! The blue passion photo of the Austin Healey 3000 on the isle of man for me. Austin-Healey 3000 Mk III, photo by Blue Passion is just amazing… the best! The picture taken by Blue Passion is definetely stunning! Great material guys! No doubt, the Austin Healey is the image of what you can do with a classic car. Well done Blue Passion! Blue Passion photo gets my vote! Dynamic and simply amazing! Austin Healey, photo Blue Passion is the best. 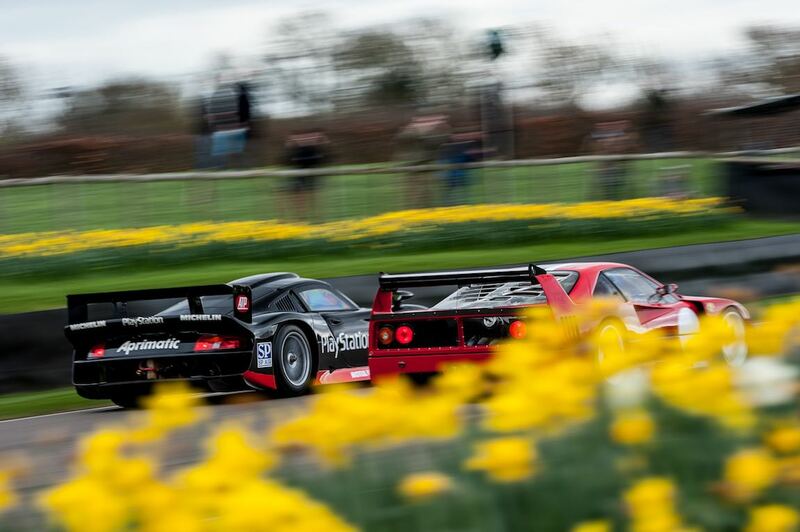 The photo by Julien Mahiels at Goodwood. I can feel the wheel of the Lotus in my hands. Pulling hard and all I see is red. I vote for Austin Healey, photo by Blue Passion! Blue Passion has Drama, timing and contrast. And a great car. “Austin-Healey (photo: Blue Passion)” as that’s the best! ? Austin-Healey (photo: Blue Passion) as that’s the best! ? 3 photos grabbed my attention: “Frazer Nash at the Flying Scotsman (photo: Gerard Brown)”, Ferrari 250 GT SWB Berlinetta on the Tour Auto (photo: Julien Mahiels)”, and “Lancia-Ferrari D50A at the Goodwood Revival (photo: Julien Mahiels)”. The winner for me is Julien’s image of the Ferrari 250 GT SWB Berlinetta. The framing, depth of field and lighting… vintage Julien, the best of a very talented group of photo journalists. I vote for the pic of austin healey by blue passion. Porsche/Ferrari @ Goodwood! – captures my imagination – and I was there…. All so many wonderful photos! I especially like the one of Alpine Renault driving through the forest…It captures the car, the tall woods and even the road! Excellent shot! Many good photos, but Austin-Healey 3000 Mk III makes a splash on the Three Legs of Mann Rally (photo: Blue Passion) is definitely the best. AMAZING photo! Great photos, each and every one of them. I’ll pick the Sauber-Mercedes C11 at the Silverstone Classic (photo: Jakob Ebrey). Wow! 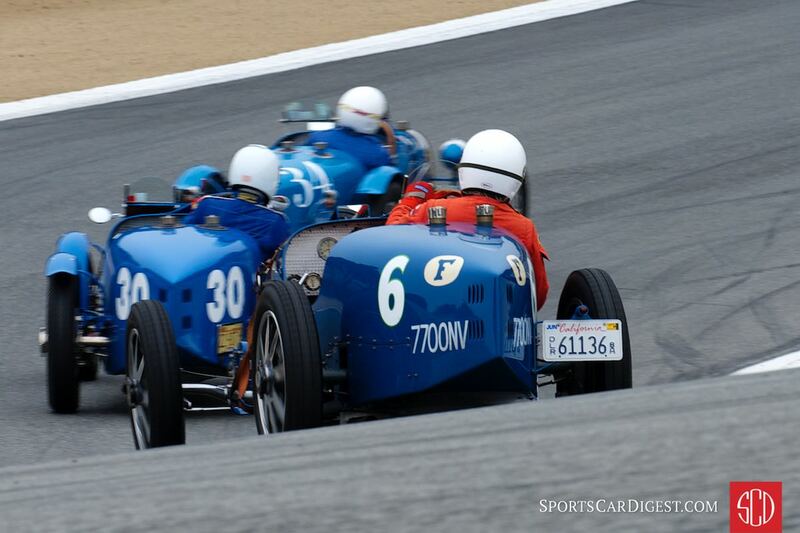 The photo by Blue Passion of the A-H and its intent driver captures the very spirit of vintage racing. Austin-haley 3000 mk photo by blue passion è semplicemente fantastica!! 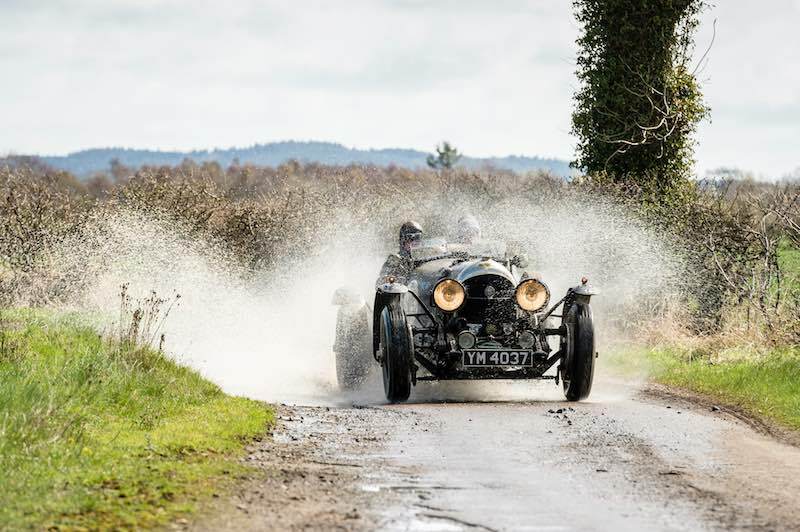 Frazer Nash at the Flying Scotsman (photo: Gerard Brown) as it shows thrill and emotion. These are all stunning pictures! Congratulations to all the photographers for sharing these memorable images with us. But with that said, my favorite was “Lancia-Ferrari D50A at the Goodwood Revival (photo: Julien Mahiels)” Julien’s next shot of the Maserati is more dramatic, but I felt the Lancia shot was more elegant, and ‘spoke’ to me more. ACTION! And the car IS vintage. Frazer Nash at the Flying Scotsman. Same idea as Blue Passion but a neater car. Second foto. Real life motorsport. definitely the austin healey in the water……How is it still running?! Ferrari and elan is great. Love the lotus getting sideways! I don’t know if it’s the best photo but I like the photo by Blue Passion of the car in the splash! Frazer Nash at Flying Scotsman for me. Love the immediacy and commitment evidenced in the photo. 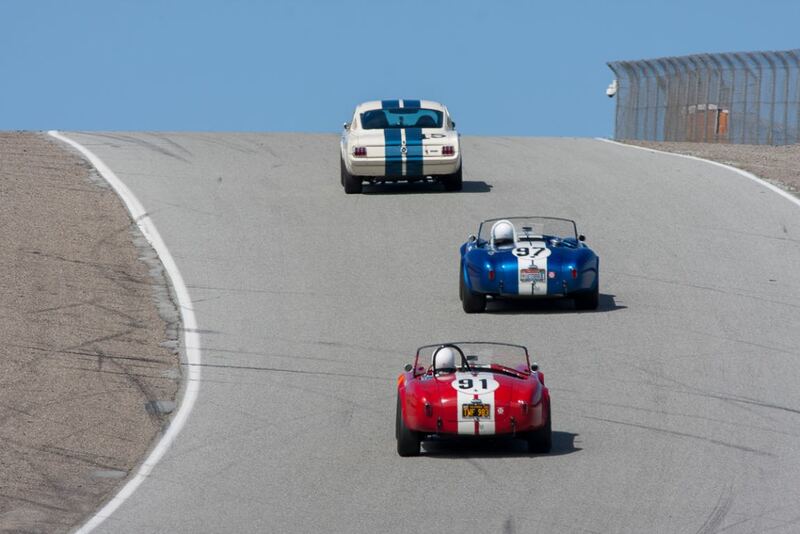 Daytona coupes at the Spa Classic, for sure.. I hope to be still on time to vote… Anyway I like both the Frazer Nash and the Austin Healey photos but my final choice goes to… Blue Passion Photo!! Ferrari 250 GT SWB Berlinetta on the Tour Auto (photo: Julien Mahiels) is my fovortie. There must be a reason it was picked as the cover photo! The trees in the fog illuminated by the morning light give a surreal feeling of dream like peace amidst the race action. As much as I enjoy Dennis Gray’s photography, this year i’m Voting for Gerard Brown’s photo of the Fraser-Nash. Great stuff guys but the winner is Bue Passion with the Austin Healey photo! The shot by Blue Passion of the Austin-Healey by far captures the best action.